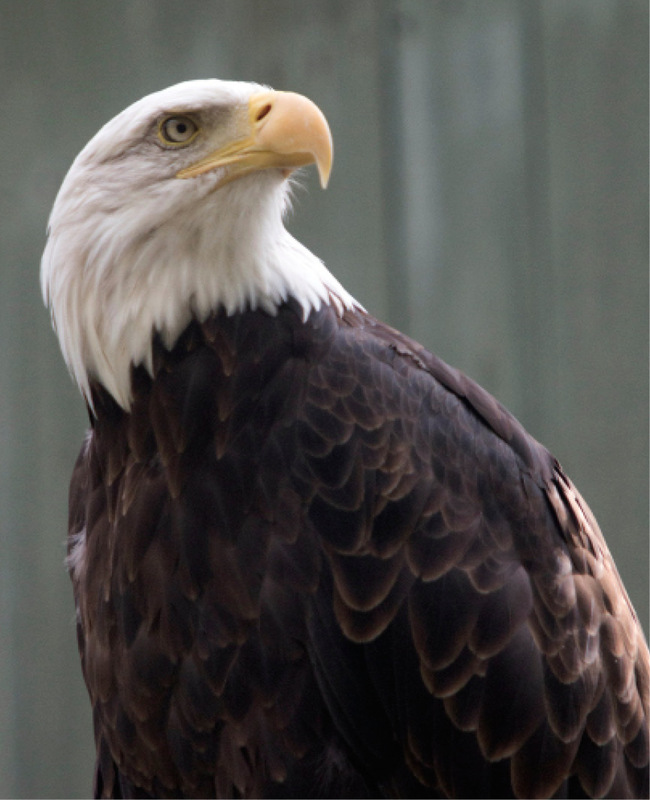 When Elmwood was less than a year old, before developing the classic white head and white tail of an adult Bald Eagle, she was found injured in Nebraska. 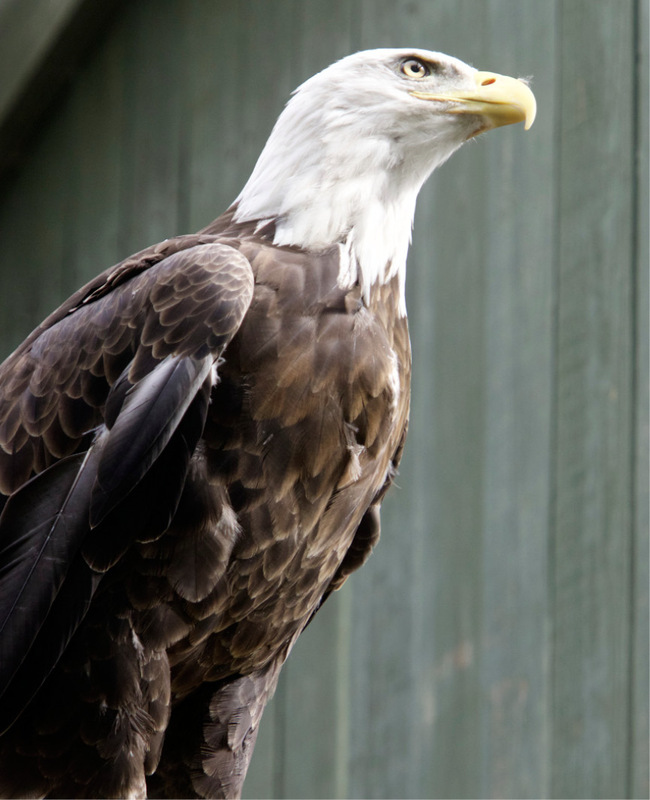 She was treated at the Raptor Recovery Center in Elmwood, NE, where she was declared unable to fly due to her amputated right wrist. A year later in 2000, Elmwood was transferred to VINS. Housed with Lafayette for over a decade, Elmwood surprised everyone one spring by revealing “he” was a “she” by laying an egg. While the two eagles do display typical nesting behaviors every spring, the eggs laid are infertile. Most of the year, Elmwood is sitting comfortably “front and center,” as close to visitors as she can get—and she rarely lets Lafayette perch in this spot! Elmwood is also very vocal revealing the piercing, chittering call of a Bald Eagle whenever something interesting occurs near her enclosure. 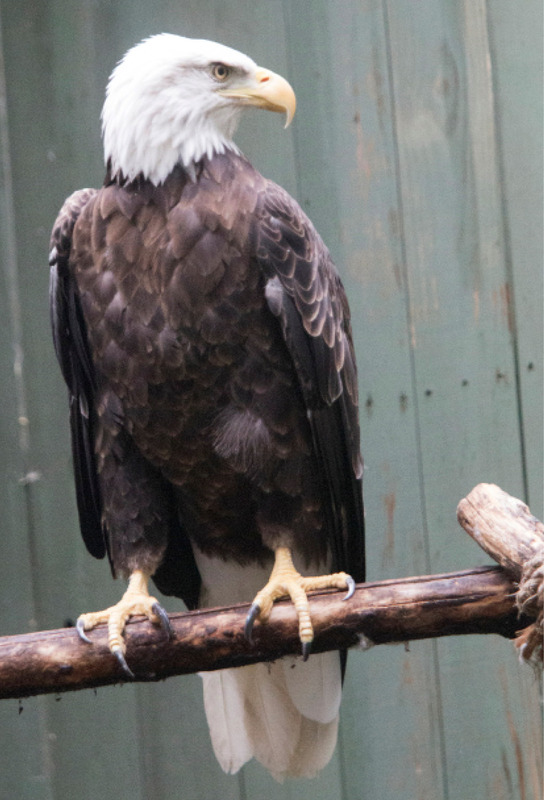 Thank you for helping support the care of our Bald Eagle, Elmwood, through the RISE Adopt a Raptor Program. Together, we can protect our natural heritage through education, research and avian wildlife rehabilitation.